Bihar School Education Board has released the registration form for Intermediate exam which will be conducted in 2018. Class 12th students registered with the board can download the registration form from the website and submit the completely filled in form at their respective colleges. New Delhi: Bihar School Education Board (BSEB) has released the registration form for Intermediate exam which will be conducted in 2018. Class 12th students registered with the board can download the registration form from the website and submit the completely filled in form at their respective colleges. The registration form has been released separately for all the three streams and vocational courses. As per an estimation, this year 12,56,507 students had appeared for the intermediate exams. Students who are due to appear for the intermediate exam next year can download the registration form from the web link provided on the board's official website. 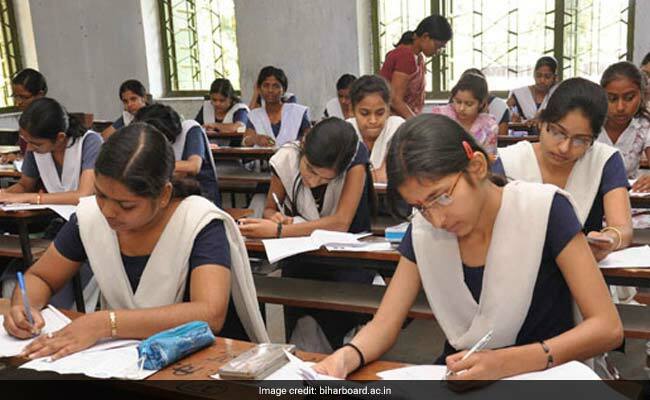 The Board has also released the seat-matrix for 2016-18 Intermediate batches for all the schools and junior colleges under the aegis of Bihar Board and the registration for Intermediate exam will be conducted only for the pre-determined number of seats as mentioned in the seat matrix. The form is available for both regular and private candidates. Candidates would need to clearly mention their mode of candidature in the form. Students would also be able to select their respective compulsory, additional and optional subjects for the exam in the form. This year more than 12 lakh students had registered for the Bihar Board intermediate exam. Owing to the additional measures taken by the board to prevent unfair practices in the exam and strict checking, the pass percentage was very low. More than 8 lakh students who had appeared for the board exam this year failed to qualify. The overall pass percentage of intermediate students was 35.24 per cent as only 4,47,115 students passed out of the total 12,40,168 students who appeared in the exam. The compartmental exam for intermediate students is still going on and will end on July 13. A total of 1,32,950 students had registered for the compartmental exam.